Back in May, I was whisked away to Brooklyn on behalf of Addition Elle to cover a story about their collaboration with Insta-star and plus-size model Nadia Aboulhosn. Not only is she drop dead stunning, but her forthcoming attitude is nothing but refreshing and her ambition and drive is incredibly inspiring. This girl is the definition of a strong work ethic. Oh, and, after dining a table away from an A-list celeb, she’s down to earth enough to offer you a ride back to your hotel. NBD. Basically everything about the experience was cool, from being on set in the cavernous Brooklyn Army Terminal, to seeing her werk it for the camera in pieces she designed for Addition Elle’s Love & Legend line. 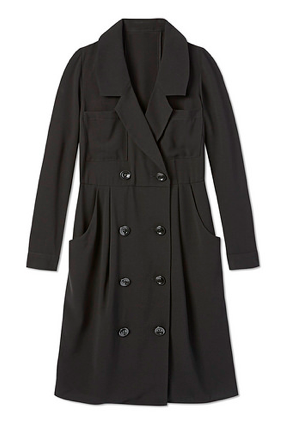 My faves include the gotta-have-it fuzzy cardigan and sultry black trench dress below. Nadia is in Toronto today, like now, so run don’t walk to the flagship Addition Elle store on Yonge St. to scoop up some edgy-chic fall updates and score some face time with the young woman who is going everywhere fast.